J. I. Packer says that the Puritans are the theological and devotional Redwoods of the western world.1 My own experience is that no one comes close to the skill they have in taking the razor-like scalpel of Scripture, and lancing the boils of my corruption, cutting out the cancers of my God-belittling habits of mind, and amputating the limbs of my disobedience. They are simply in a class by themselves. For example, see if you have ever had thoughts like these. And if not, know that a world of biblical wisdom awaits you. 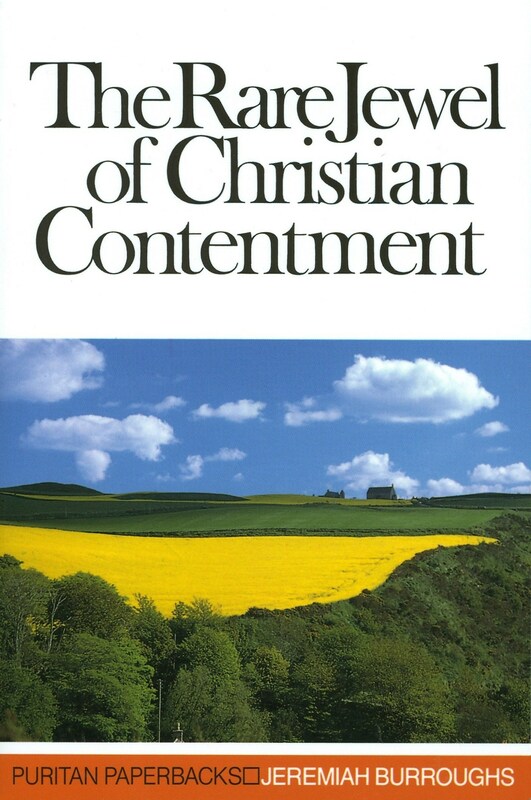 In his book, The Rare Jewel of Christian Contentment,2 Puritan Jeremiah Burroughs (d. 1646) poses the question, ‘How can a Christian enjoy deep contentment while having little in this life?’ That is, little by way of material possessions and other advantages of the world. Why is the proverb true: ‘Better is a little with righteousness than great revenues with injustice’ (Prov. 16:8)? He gives five answers. And the best parts of the answers are the illustrations and explanations (which I have reworded only slightly). First, Christians enjoy contentment in the little they have because in what they have they have the love of God to them. In other words, this ‘little’ is an expression of God’s love, and so it is much more than the littleness of the condition itself. If a king were to send a piece of meat from his own table, it would be a great deal more pleasant to a poor subject of his kingdom, than if he had twenty dishes some other way. If the king sends even a little thing and says, ‘Go and carry it to my dear subject as a token of my love,’ Oh, how delightful would that be to him! When your husbands are at sea and send you a token of their love, it is worth more than forty times what you already have in your houses. Every good thing the people of God enjoy, they enjoy it in God’s love. [It is] a token of God’s love . . . and this must be very sweet to them. Second, Christians enjoy contentment in the little they have because the little they have is sanctified to them for their good. Christians receive everything from God’s hand as a gift, but it never comes by itself. It always comes with God’s accompanying purpose to sanctify us by it — and the amount of it is perfectly suited to his good purposes for us. Third, Christians enjoy contentment in the little they have because this little is free of cost; they do not have to pay for it. The difference between what a godly man has and a wicked man, is this: A godly man is as a child in an inn. The inn-keeper has his child in the house, and provides his diet, and lodging, and what is needful for him. But a stranger comes, and he has dinner and supper provided, and lodging, but the stranger must pay for everything. It may be that the child’s meal is simple, and the stranger has a great feast, but there must come a reckoning for it. Do you not know that God’s kindness is meant to lead you to repentance? But because of your hard and impenitent heart you are storing up wrath for yourself on the day of wrath when God’s righteous judgment will be revealed. If a person is not led to repentance and conversion through God’s gifts, ‘there must come a reckoning.’ All will pay. Just so it is: many of God’s people have only a simple meal, but God as a Father provides it, and it is free of cost, they need not pay for what they have; it is already paid for. Is it not better to have a little, free of cost, than to have to pay for everything? Therefore the little that the Christian has, being totally free from his Father’s hand, is very sweet. Fourth, Christians enjoy contentment in the little they have because what they have, they have by the purchase and the rights of Jesus Christ. The unrepentant person is like the criminal on death row. A criminal is condemned to die, and yet by favour he has his supper provided overnight. Now though the criminal has forfeited all his right to all things, to every bit of bread, yet if he is given his supper he does not steal it. But if a man is given a supper overnight before his execution, is that the kind of supper he hopes to have in his own house with his wife and children about him? Would it matter if it were even a great feast? Oh, a dish of green herbs would be a great deal better than any dainties in such a supper as that. But it is altogether different for the Christian. He has his meal not merely by donation. No. He has it by right — the right of Christ. It has been bought for him. It comes to him through the purchase of Christ. “Every bit of bread you eat, if you are a godly man or woman, Jesus Christ has bought it for you.” This makes the little that you have far sweeter to you than the wealth of the unbeliever. Fifth, finally, Christians enjoy contentment in the little they have because the little that they have is a down-payment for all the glory that is reserved for them. Now if a man has but twelve pence given to him as a down-payment for some great possession that he must have, is that not better than if he had forty pounds given to him otherwise? So every comfort that the saints have in this world is an down-payment to them of those eternal mercies that the Lord has provided for them. Just as every affliction that the wicked have here is but the forerunner of those eternal sorrows that they are likely to have hereafter in Hell, so every comfort you have is a forerunner of those eternal mercies you shall have with God in Heaven. and I have it as a forerunner of those eternal mercies that are reserved for me. If you have already pondered deeply why Christians may be content with little in this world, and have already seen these five reasons with such illuminating illustrations, then probably you don’t need the Puritans. You are one. But if you had not — as I had not! — then you may need them — as I need them. They are indeed the theological and devotional Redwoods of the western world. The best surgeons of our soul. And I thank God that you and I have such ready access to them (see the Puritan Paperbacks series from Banner of Truth Trust3). A Quest for Godliness (Wheaton, IL: Crossway, 1990), pp. 11f. John Piper (@JohnPiper) is founder and teacher of desiringGod.org and chancellor of Bethlehem College & Seminary. For 33 years, he served as pastor of Bethlehem Baptist Church, Minneapolis, Minnesota. He is author of more than 50 books. This article – ©2014 Desiring God Foundation – is used with kind permission. The original can he found here.